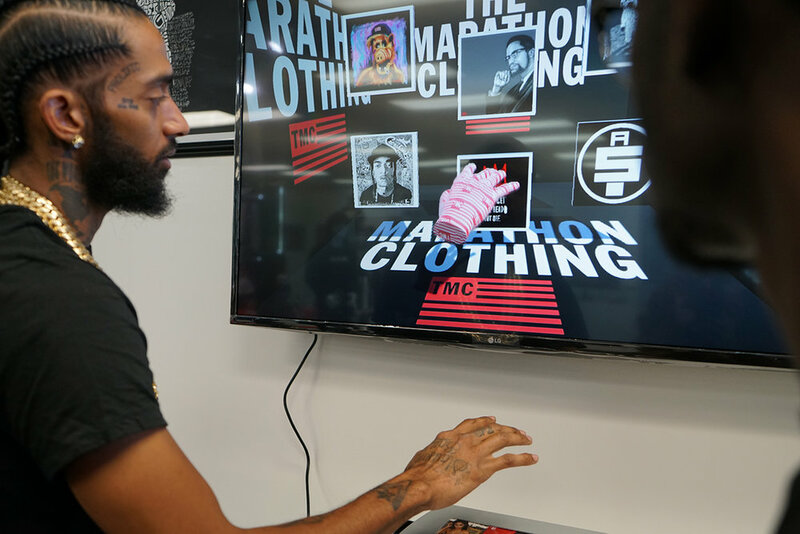 On March 31st, 2019, Ermias Asghedom (aka Nipsey Hussle) was murdered outside his clothing store, Marathon. Ermias went to his store to help out an old friend, who was recently released from prison, by buying him some clothes before his friend saw his family. In this particular instance, Ermias didn’t have his body guard nor security team with him. Unfortunately, a man named Eric Holder was able to approach Ermias, Ermias’ friend, and Ermias’ friend’s nephew outside the store. Eric Holder shot all three, but it’s reported that Eric Holder was able to return and shoot Ermias multiple times after realizing that no shots were fired back at him. Reports say that Eric Holder was motivated to kill after a personal dispute that occurred minutes earlier between he and Ermias. Ermias’ older brother showed up on the scene minutes after Ermias was shot and performed CPR on him before the paramedics came. Sadly, Ermias passed away shortly after. Ermias left behind a committed partner, two young children, a brother, a sister, two parents, and a grandmother. He was an artist, an entrepreneur, a community activist, and an innovative thinker in this generation. He opened the first smartstore, which sold clothing but also incorporated technology that allowed buyers to gain access to exclusive content through engagement and purchases in the store. In addition to owning this business, he also purchased the entire strip mall, where Marathon store was located, and had plans to create a six-story complex, filled with residential housing and commercial businesses. He founded Vector 90, which was a tech hub that housed coworking spaces, rooms for seminars or networking events for the community, and a floor specifically for a STEM program for teenagers who might be interested in technology as a viable career option. He signed with Atlantic records and strategically made sure that he kept ownership of his master recordings. He dreamt of making south L.A. an area that birthed intellectuals, creativity, and new business. He was a visionary and a lover of his community. The day after he passed away, he was scheduled to meet with the city police to discuss how to end gang violence in the area. This is only a snapshot of why so many of us mourn Ermias Asghedom. He was such a great example of someone who lived with purpose, who sought to give back to this life, and who emptied himself of his gifts, talents, and resources for the sake of others. Honestly, I believe if Jesus had had His first coming to Earth a couple of weeks ago, I think Ermias and Jesus would’ve been friends. No, I’m not talking about the “white man’s religion” jesus. I’m not talking about the “I’ll oppress the poor through twisted moral justifications” jesus. I’m talking about the real Jesus. I’m talking about the Jesus who grabbed a rope of chords and chased out the religious leaders in the temple because they were ripping off the poor. The One who touched lepers when everyone else thought that they were cursed and the scum of the earth. The One who wasn’t afraid to call out the moral failures of His leader by calling King Herod a “fox.” The Jesus who saved a woman caught in adultery from being stoned by reversing the finger on the very ones seeking to kill her. Yeah, like I said, if Jesus were walking the Earth in the flesh during the time of Ermias’ life, I believe Ermias and Jesus would’ve been friends. They both grew up in places that no one thought could produce any good. They both saw the least of these not as an “other” but as their own. They both had a way of taking persons deemed worthless and giving them opportunity. Ermias’ last tweet before passing away. We mourn because Ermias lived his life with vision and on mission. He lived out what he believed. He left his community with more than what he was born into. He operated in his gifting. He emanated wisdom. His life challenges us all. R.I.P. “It’s not the years in your life that count. It’s the life in your years.”-Abraham Lincoln. Are you living your life in purpose, for purpose, and on purpose? If you were to die tomorrow, would you die empty-knowing you died doing and living exactly the way God called you to live. Life is but a vapor. Don’t waste it. Live, prepared to stand before your Creator. P.S. Many of our hearts are heavy and mourn over the passing of Nipsey Hussle. Let’s pray. For his family. For the south L.A. community. And for so many affected by his passing.